The league champions and cup holders stand in the way of the Dons making a fifth cup final since McInnes took charge in 2013. A Dons victory at Hampden tomorrow would be the first time since 2008 that Aberdeen have beaten both sides of the Old Firm in the same season, having already won three times against Rangers this campaign. McInnes said: “It would only be remembered if we went on and won it. We’ve got to take it one step at a time. If you take it in isolation, us against Celtic, then I understand that Celtic will be favourites. “There’s no doubt in my mind that we can deliver a performance to beat them. I’ve no hesitation about that: that we can be good enough on the day and deliver a performance. They’ve got fantastic players, good experience, a dressing room that is used to winning. But they can only play 11 and my 11 will be ready for the game. “I think any team can be fortunate through a cup competition and get an easier passage to win a cup, but it is not easy. A lot of teams can be consistent for a period of months but we have done it for six years now. We have delivered the better performances. Only Celtic have delivered better than us and qualified for Europe every year and reached cup finals. 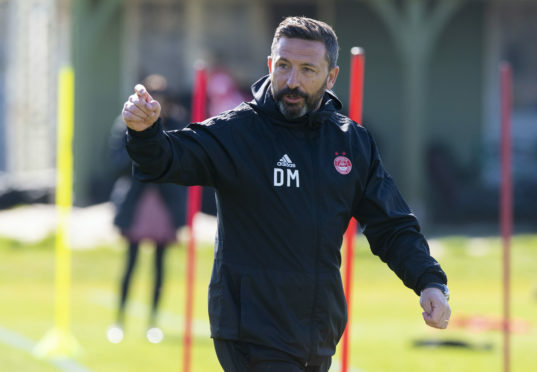 Derek McInnes will come up against his Celtic counterpart Neil Lennon on Sunday. 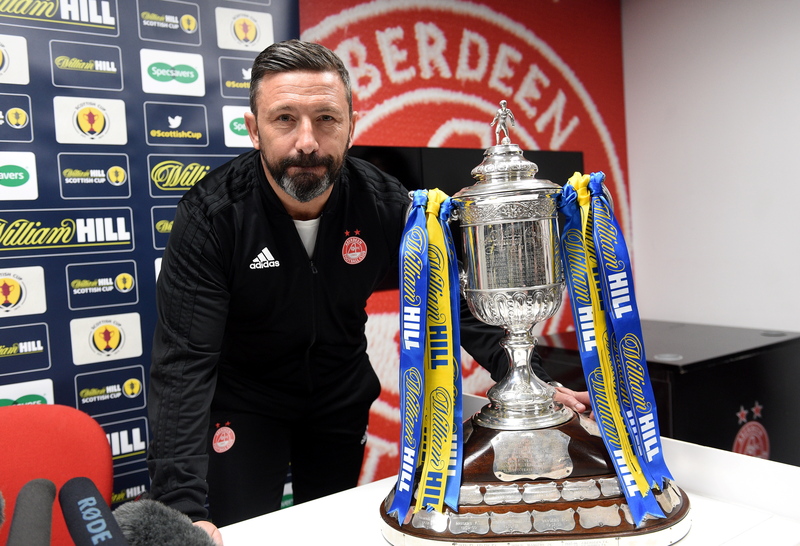 The League Cup in 2014 remains the only silverware of McInnes’ tenure but that does not add to his hunger ahead of the showdown with Celtic. He said: “I have not felt any more motivated to do it than I was before. You set out at the start of the season and every cup competition I feel Aberdeen should be in the mix to win trophies. “Thankfully we have managed to put together a squad in the summer even though we lost key players. We have put together a squad to get to one final and hopefully another final.